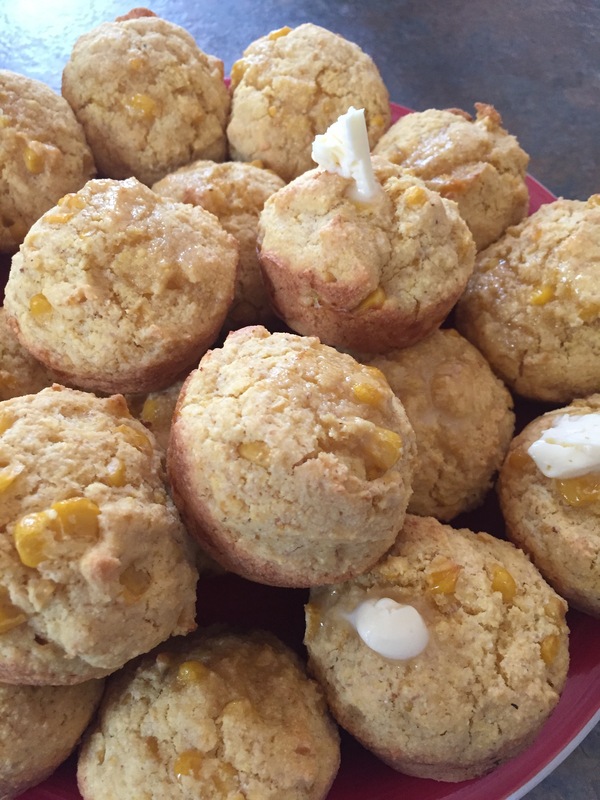 Honestly, you can really use most of your common Cornbread Muffin Recipes to make these. I didn’t go into a lab and try 50 different combinations. I went on-line and found a muffin recipe I liked, that had the use of real corn kernels because I love that texture and taste, and then substituted any items that required dairy butter, milks and/or eggs, with Vegan Butter, Soy Milk (any non-dairy milk will do) and Flaxseed Meal in place of eggs. Flaxseed meal is a great sub for most recipes in baking that require eggs. However, you will find that even then, you may need to add another moisture factor to your recipe if you want fluff, and softness. Other items you may want to try are Apple Sauce, or you can make a Vegan Butter Milk using 1 to 2 cups of Soy Milk or Almond milk, with a tbls or so of Lemon Juice. Letting that sit for about 10 minutes allows the milks to curd and create a very nice texture for the use of making vegan baking. I love using it for Butter Milk biscuits, which I will show here at a later date. So here is a very simple recipe that you can feel free to tweak and make your own. Perhaps a mexican cornbread muffin or perhaps using this and making a Cornbread Casserole by adding some Silken Tofu. Preheat oven to 400 degrees. Combine all these ingredients in a mixing bowl. I like to mix all my dry ingredients first, then add my wet. Spray a muffin pan with some non-stick spray. Scoop the mixture into the muffin tins, and then place in oven to bake at 400 degrees for 18-20 minutes. Check to see if they are done before removing from oven using a toothpick. If the toothpick comes out dry, they should be done. This is a very kid friendly recipe, as I am always trying to get my kids in the kitchen to help so that one day I don’t have to be, lol.